This is to inform all the candidates that applied for the Ahmadu Bello University (ABU), Zaira, undergraduate programmes admission through Direct Entry that the management of the institution is inviting them to a screening exercise. 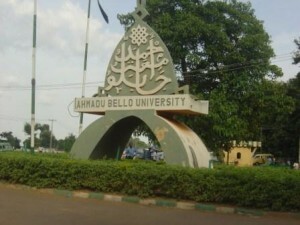 ABU Direct Entry Screening Eligibility: Candidates who applied for admission into Ahmadu Bello University, Zaria for the 2018/2019 Academic Session and who made ABU their FIRST CHOICE. DIRECT ENTRY CANDIDATES ARE ONLY REQUIRED TO PAY SCREENING FEE AND REGISTER. Read Also: ABU Post UTME Screening Form is Out – 2018/2019 | Application Procedure. How to Apply for ABU Direct Entry Screening. Registration for the screening exercise commences from Monday 30th July, 2018 and closes on Saturday 1st September, 2018. To register, candidates are required to log into: https://putme.abu.edu.ng. Follow the instructions on the site. You can also get to this site through the Ahmadu Bello University Website https://abu.edu.ng. Applicants are required to pay the sum two thousand naira (N2, 000.00) only as screening fee. Payment can EITHER be made via Remita using any acceptable debit card (Visa, Verve, and MasterCard) OR by printing the Remita Retrieval Reference (RRR) slip and proceeding to any Commercial Bank for payment. Candidates need not travel to Zaria to make payment and/or screening.